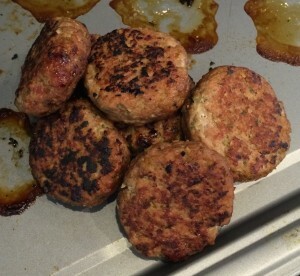 To call this a ‘Chinese’ pork burger recipe is a tad misleading, given I don’t think there are many Chinese people eating pork burgers! That said, they contain Chinese Five Spice and Oyster sauce so that’s definitely a nod to the oriental, if nothing else. Wo cares, they taste good. This pork burger recipe is really easy to follow given there are only a handful of steps and a food processor does the hard work for you! I have learnt the hard way that trying to keep big chunks of onions etc in burgers is a nightmare. Your burgers end up falling apart, so it’s not worth it. 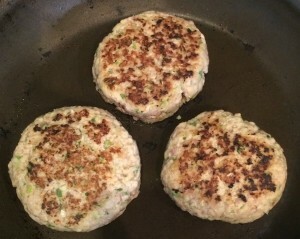 By blitzing them you get all of the flavour and they act as a great binding agent, meaning your burgers stay in one piece. 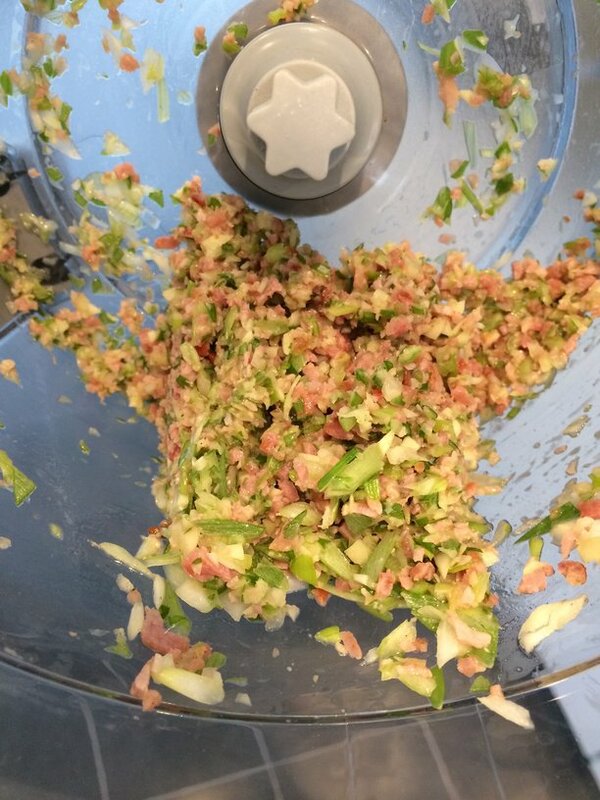 Bonus Tip… Before you cook the whole lot, take some of the mixture and quickly cook it to see if seasoning is right. You might want to add a little more – once they are cooked, it’s too late! 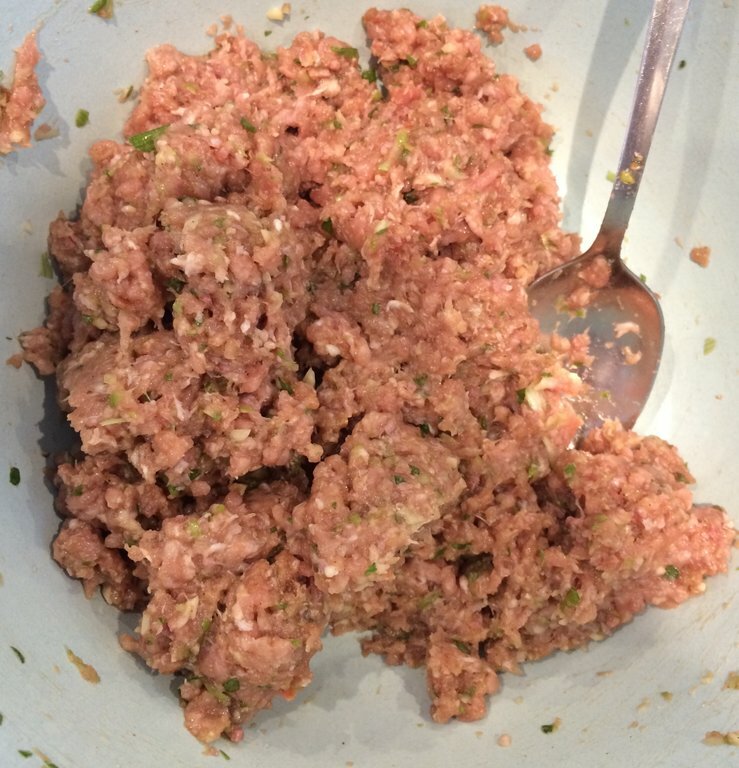 This pork burger recipe is easy to do and tastes amazing. 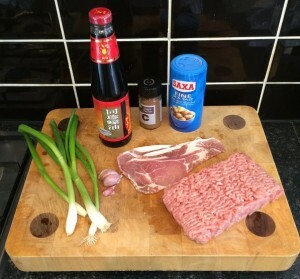 It’s quick to put together and a great way of using up excess bacon and spring onions. Some of you may think that the 4 spring onions, 3 garlic cloves and the two tablespoons of oyster sauce is excessive in a pork burger recipe, but remember pork can be a relatively bland meat when minced, so that amount of flavour really doesn’t over-power the burgers. Give it a try and see what you think! Share amongst friends!